Mosquitoes can be tricky pests to get rid of, and if there are any water sources near your home, you and your family may be feeling the consequences. It might be time to take action. Eliminating any standing water around the yard is a good start toward getting rid of these flying pests. 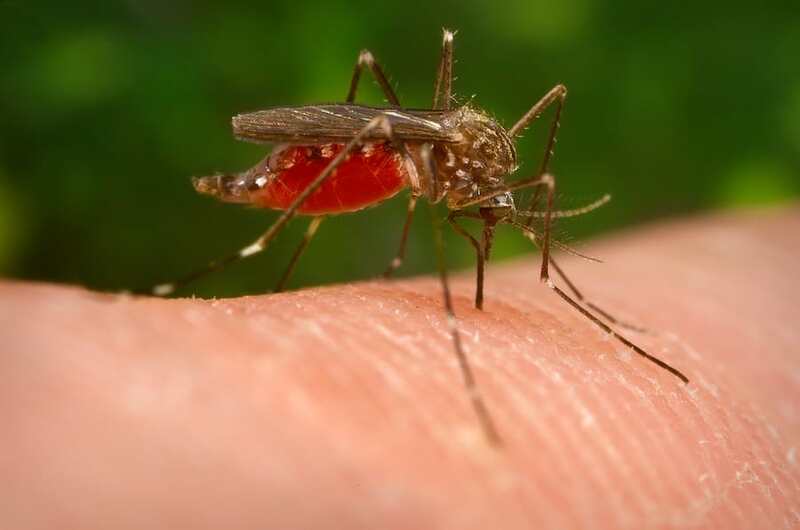 To make your house and yard a fully mosquito-free zone though, you’ll need to do more than just light mosquito-repelling candles and get rid of any standing water. There are a few options available when it comes to controlling these pests, but in my opinion, you can’t beat a good mosquito fogger. Here, we’ll take an in-depth look at some of my favorite fogging machines. Simply put, a mosquito fogger is a device which creates a mist or fog from regular insecticide solutions. This fog can then be evenly and efficiently spread throughout your garden. All foggers are designed to create drops of mist that are two to ten nanometers in size. This will stick to even the tiniest mosquitoes, and the plants they like to live on. There are several types of foggers available. The two most popular models are ULV foggers and thermal foggers. Let's take a closer look at each. Ultra-low volume (ULV) foggers are also known as cold foggers. These devices spray the insecticides at a volume application rate (VAR) of less than 50 liters per hectare. ULV foggers are equipped with a motor that produces a high power, low-pressure air stream. It quickly turns the fog into small droplets which are then pumped out through a special nozzle. The nozzle is constructed in such a way that it gives the fog a swirling motion, spreading it thoroughly. It also separates the drops into smaller particles, creating a very fine fog. Because of this, ULV foggers are the best choice for larger areas. These devices usually work with electricity. Some ULV foggers even allow the user to adjust the size of the fog particles. The consistent airflow makes ULV foggers very versatile. You can even use the device with cleaning solutions for other purposes around your house, such as getting rid of bad odors or molds. Just clean the fogger out carefully first if you intend to do this. It is also possible to leave a ULV working automatically for short periods of time. Since they use cold techniques, they don’t pose a fire risk. The insecticide used in foggers needs to be diluted before use. How much dilution needed depends on the fogger. As a general rule, ULV foggers typically require less diluent than thermals. This makes the solution more concentrated. Unlike ULVs, thermal foggers use heat to create a fog, via a vaporizing technique. This converts the insecticide into a mist which can then be spread easily. There are two kinds of thermal foggers, one type works with propane gas and the other with electricity. Both are fitted with a motor to preheat the device. Gas-powered foggers are equipped with a gas cylinder to generate further heat, while electric foggers, obviously, use electricity. The downside to gas foggers is that cylinders empty and require refills, which can be costly. With electric foggers, you’re limited to the length of the power cable you are using. If you do choose the electric option, having a long extension cord is essential if you have a larger area that needs treatment. Thermal foggers can reach all the difficult places. Think gaps in floors, tall grass, thick bushes, and the tops of trees. They also give the user much more control than ULV foggers when it comes to directing the fog. Thermal foggers are the best choice when you want to get rid of small pests, such as mosquitoes. The good thing about gas foggers is that they are completely portable so you can spray anywhere you need to, without being restricted by a cable. While both ULV and thermal foggers produce small mist particles, some thermal devices are capable of making significantly smaller droplets. Particle size is important because the smaller the particles are, the easier it is to penetrate hard-to-reach areas. The fog will also be much more visible. This makes it easier to see which places have already been treated. However, when you use a thermal fogger, you cannot control the size of the particles yourself. The droplets will range in size, depending on the device you choose. ULV foggers, on the other hand, produce larger particles. But most devices allow the user to control the size they need, by setting the flow rate. Particle sizes are measured in microns. ULV models produce an average particle size of 20 microns while thermal foggers produce an average size of just 5 microns. So far we’ve looked at the difference between ULV foggers and thermal foggers, including gas and electric models. Now that you know the limitations and advantages of each, you’ll be better equipped to choose the mosquito fogger that suits you best. With so many foggers available on the market, it can be hard to know where to start. The first thing to mention is that mosquito foggers aren't cheap. Instead of going out and buying the biggest, most expensive model, choose one that fits your needs. In the following guide, I’ll review the four foggers which I particularly recommend. For each fogger, we’ll look at how it is powered, its features, the ignition function, and manufacturer information. The Burgess 1443 fogger is a thermal model. It is capable of creating a significant amount of thick, odorless fog. The fog can make its way easily into bushes, grasses, and up high into trees. This fogger is quite powerful and can treat an average of 5,000 square feet in less than 10 minutes. Because this device is powered by propane gas, you will need to purchase a cylinder. Standard cylinders will easily fit the Burgess. There are two types of cylinder: either a tall and thin 14.1 ounces or the shorter model which contains 16.4 ounces of gas. The fitted tank which holds the insecticide can contain up to 40 ounces of solution. The Burgess also allows you to fog for two and a half hours straight before needing to refill the container. The tank, however, has to be full when started in order for the device to perform optimally. The manufacturer recommends using only specific insecticides. The Burgess is fitted with a lock trigger. This is a long yellow button which locks when the user slides it to the right and will prevent any unintentional pumps. It is also fitted with a security lock to prevent any potential insecticide spills. The Burgess is light and portable, weighing in at only 2.8 pounds, not including the weight of the gas tank. There is no need for cables so you will be free to use the device anywhere you like. It is important, though, that you do not use this fogger indoors. It reaches high temperatures, which pose a serious fire risk. The unit is fitted with a fuel valve which needs to be fully closed when attaching the tank and cylinder. This is a silver button which you turn towards the nozzle until it stops. The cylinder is inserted at the rear of the device and should be securely tightened by hand. The Burgess 1443 has to be ignited manually with a lighter or open flame. It's very easy to use, and it's also very effective. Once heated and ready, the device will start producing its thick fog, which can reach up to 10 feet in height. Burgess claims to provide you with up to six hours of mosquito-free time. Of course, this does depend on the weather conditions, area, and the types of insects you're going after. If you need a longer protection window, just repeat the process after a few hours. Because the Burgess is so light and compact, you can easily use it anywhere you choose. You can also take it on a camping or fishing trip to make sure you won't be itching all night. A downside is that the tank has to be filled frequently for optimum performance. Otherwise, the fogger won't perform as it should. The Burgess 1443 is created by the Fountainhead Group Inc. It introduced the first compressed air sprayer way back in 1888. The company has been dedicated to producing high-quality sprayers and foggers ever since. Today, Fountainhead Group offers pump sprayers, backpack sprayers, and mosquito foggers. The company makes devices for both home and professional use. This fogger from Bonide is by far one of the best sellers on the market today. It is lightweight, good quality and has a reasonable price tag, too. The Bonide fogger is effective on not only mosquitoes, but also on gnats, flies, and moths. It can be used anywhere in your garden, and before any outdoor events such as picnics or an overnight stay in your tent. Like the Burgess, the Bonide is powered by a propane gas cylinder fitted at the rear. The propane cylinder is not included when buying the Bonide. But a standard 14.1-ounce cylinder fits well and is easy to find at any hardware or sporting store. The unit weighs about 2.7 pounds without the cylinder, so it's relatively easy to carry around. The fogger is made from a durable nylon material. The Bonide has a safety button which locks the trigger and prevents any accidental pumps. The fogger has a semi-transparent container fitted at the bottom which holds the insecticides. You can easily see how much solution you have left. This makes it easy to plan ahead so you won't go on to larger areas thinking you have a full tank. It can also be filled with other liquid solutions, depending on what task you need to perform. The tank can hold 40 ounces of insecticide—the manufacturer recommends using the Bonide Mosquito Beater insecticide. I would note, however, that this unit can be used with any other mosquito fogging chemicals just as well. The device is fitted with a handy ignition button. This allows for easy and quick starts, since you don't have to fiddle around with matches or lighters to get it started. You can, however, choose to manually light the fogger if you wish. Before use, it's crucial to allow the device to heat up properly. The Bonide fogger creates a very dense, thick fog, but only if it's heated. The preheating process should only take a few minutes. Once heated, the fogger is ready to use. Stand about five feet from the targeted area and gently squeeze and hold the trigger at regular intervals. Within a few minutes of finishing treatment, you and your family can enjoy over five hours of mosquito-free fun. If you want them gone for longer, then simply repeat the procedure. The Bonide Insect Fogger was created by Bonide Products Inc. Located in New York City, this company manufactures not only mosquito foggers. They also produce lawn care control products, insect and disease control products, and other special purpose pest control goods. If you’re trying to find a convenient and efficient electrical fogger, this Black Flag Insect Fogger is worth looking at. This fogger is an electrical, thermal fogger. It's very similar to the Burgess 1443 fogger, only this one is fitted with an electrical cord at the rear instead of a gas cylinder. Because it is electrical and needs a cord to work, it is not ideal for vast areas. It is most suited to decks and patios. If used to get rid of mosquitoes in the yard, make sure you have a long extension cord so you can cover the whole area. Because of the cord, this fogger isn't quite as portable as a propane gas fogger, but it is just as effective. The Black Flag fogger will create a thick fog, perfect for hitting the flying insects right where it hurts. The device can perform a relatively quick and easy treatment. You can easily get 5,000 square feet covered in less than 10 minutes—electrical cable permitting. It will penetrate all the places mosquitoes like to hide, out such as shrubs and dense foliage. After just one treatment you will be mosquito and fly-free for up to six hours. Repeated treatment will extend this time. Not only does it kill mosquitoes, but it also repels and kills other obnoxious biting insects. This electrical fogger is made out of plastic, so it is very lightweight. It has a handle on top to keep your hands away from the heat. However, the material is a downside, the plastic is not as durable as other materials. The fogger is equipped with a trigger lock, similar to the Burgess. It is a long yellow button which slides to the side to lock and unlock. The unit is fitted with a 40-ounce yellow tank for insecticide. The container should be checked for debris before being filled. The Black Flag fogger is fitted with an ignition button, which makes it quick to start. Just plug it in and let it heat up for a few minutes, then you're ready to free your yard of any pests. Black Flag is a very well-known company, which manufactures both propane foggers and electric foggers. The company also makes some of the best insecticides on the market. These are used by homeowners as well as professional pest controllers. The Cutter Natural Fogger is a small hand-held machine. Its included solution is made up of active natural ingredients, such as lemongrass oil and wintergreen oil. Both of these ingredients are known to repel and kill mosquitoes. This is a manually controlled sprayer. Simply pump the trigger to start the flow. This fogger is safe for use around children and pets. This fogger from Cutter is different from the other foggers since it comes in a small, manual spray bottle. The fogger is supplied in a 14-ounce bottle. However, don't let its small size put you off. The ingredients work very well to repel and kill, not only mosquitoes, but also other flying insects too. Since this is natural, you can easily use it indoors for quick, fuss-free mosquito control. All you have to do is shake the bottle well before use. Then point the nozzle to the designated area. Gently push the button, and you will quickly find yourself in a mosquito-free zone. Even though it's small, the fogger can still be used outdoors. The Cutter Natural is an excellent mosquito repellent to use before BBQs or any outdoor event. Spray the area 30 to 60 minutes before guests arrive to let the treatment settle. To achieve the best results, spray when the air is calm. This will ensure that the insecticide reaches the desired area. If used when there's a slight wind, make sure you stand with the wind to your back. When used on greenery, such as shrubs, bushes, and foliage, make sure to stand at least five feet away. The strong natural ingredients can cause damage to plants. Hold the trigger for one to three seconds, while sweeping the bottle from side to side slowly. Pay attention to places mosquitoes like to hide in. Repeat the process until the desired results are achieved. This Natural Fogger Insect Repellent is created by the brand Cutter. This is a well-known brand for mosquito and other insect repellents. It's also very popular due to its family-friendly formulas. Mosquito foggers might initially seem like something only professionals use, but they are actually quite easy to operate. Let’s take a look now at how to use propane, or gas, foggers and electrical foggers. I’ve made a quick tutorial on how to get your propane fogger started. Remember, there might be some differences depending on the model, but generally, they all work the same way. All of the units should be fitted with some type of trigger lock. Before you do anything else, make sure this is engaged. Once you’ve checked the trigger is locked, you can attach your gas cylinder. Follow the manufacturer's directions on safely attaching these. Next, fill up the insecticide tank, which is usually fitted underneath the device. The containers should always be filled to maximum capacity, this will ensure the fogger performs well. Make sure you’ve diluted the insecticide according to the instructions on the product you’re using. Then, securely tighten the tank to the fogger. Once everything is attached, it's time to ignite the fogger. There are two ways to do this, either manually or automatic, depending on the model. Some models are fitted with an ignition button, others will need to be lit with either a match or lighter. Many foggers need preheating before use. If the device you’re using requires this, leave the unit to warm up before you begin. Electrical foggers work the same way, however, they are a bit easier to get started because you don't have to attach a cylinder. Fill up the tank and securely tighten it underneath the fogger. Make sure the device you use is fitted with a trigger lock, and the trigger lock is engaged, to prevent any accidental sprays or spills. Plug in the fogger and wait for it to heat up. Note that all thermal foggers require preheating. To know whether or not the fogger is at the right temperature, take notice of the insecticide. If it's dripping from the nozzle, the device isn't hot enough to vaporize the chemicals. In this case, you will need to stop and wait until the unit warms up. On the other hand, if the fog comes out thin and yellow, the device is too hot. To cool the fogger, squeeze the trigger a few times to get the flow going. Once you begin spraying the area you want to treat, squeeze the trigger every three to four seconds for optimal use. If there's a bit of a breeze, make sure to keep your back to the wind while you’re using the fogger. You should never attempt to use any fogging device when there's a strong wind. The insecticides won't reach the right areas, and you will end up with a chemical fog everywhere—including on yourself. Post-application, I recommend leaving the area for at least 10 minutes. Keep pets and children away for a minimum of half an hour. If you want more than just six hours of mosquito-free time there are a few ways to use your new fogger to get longer lasting results. Fog your desired area every day. Pay particular attention to mosquito hiding places, such as trees and dense bushes. In doing this, you will start killing off the adults and breaking down the infestation. Treat your yard every second day throughout the week. Hit all the places where the mosquitoes are hiding, including the grass and any shrubs. This will further eradicate adult mosquitoes, and you will start eradicating the offspring as well. During week three you will only need to fog your yard once. You should have already killed off the adults during the previous weeks, now you're just aiming to eliminate any young adult mosquitoes. To keep your outdoor areas mosquito-free, continue treating your yard once per week. As with any mosquito killing method, it's important to take certain precautions. A fogger is an excellent tool that allows you to cover large areas quickly and efficiently, but you’ll need to be careful and bear in mind that you’re working with strong chemicals. Always remember to carefully read the instructions that come with the device you're using. You might think you know everything necessary to operate the fogger. But instruction leaflets usually contain essential information, such as the insecticide solution you should use, the concentration, and so on. The number one thing to remember is that many insecticides and pesticides contain toxic substances. These are not safe for humans or animals to come in contact with. Some are even dangerous for the plants in your garden. Wearing the proper clothing before fogging is vital. Protective gear such as masks, gloves, boots, and glasses are a necessity. You may be allergic to some of the chemicals in the solution you’re using. So avoid skin contact at all costs. I also recommend wearing boots for complete protection. Be careful when pouring the insecticide into the tank, especially if you haven’t diluted it already. The solution is very concentrated and needs to be handled with care. I highly recommend wearing glasses and gloves during this process as well. Before you use your fogger inside, double check that it is safe to do so. ULV foggers are safe to use indoors because they don’t get heated. But all types of thermal foggers are for outside use only. They reach very high temperatures, making them too risky for use inside. Foggers are an excellent tool to have in your pest control toolkit and, if used correctly, they are generally safe. Here’s hoping that the information in this guide to the best mosquito foggers helps you to reclaim your yard and enjoy a mosquito-free year.